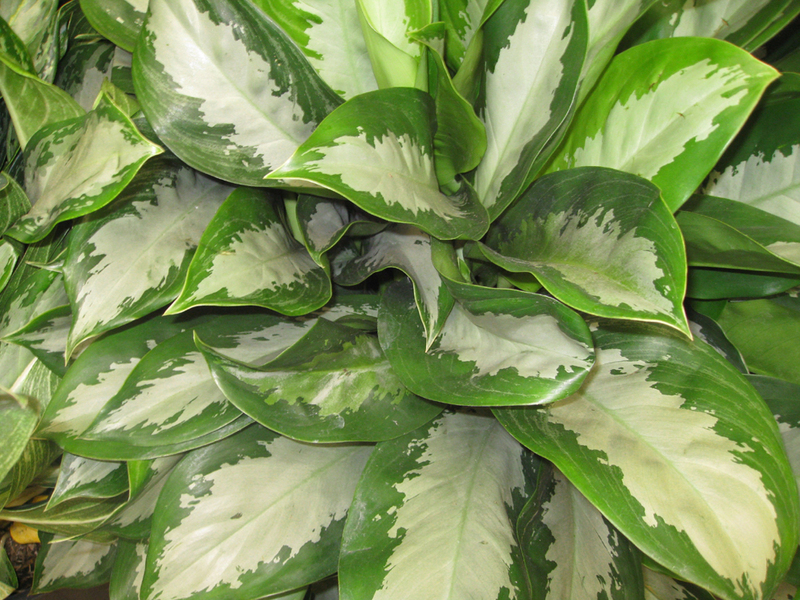 Comments: Because the Chinese evergreen plants grow well indoors and can survive quite well with artificial light this plant is a popular choice for relatively dark spaces because the bright blotches of silvery-white variegation can help to brighten otherwise dark areas of planting that feature only dark green foliage plants. For best results provide as much natural light as possible and keep the soil only moderately moist to the touch. Makes an excellent container plant for indoor spaces.